I have to say that while I know nothing about Forbes magazine, the fact that they're banging the drum about FATCA makes me a happy man. In an article entitled Should U.S. Citizens Abroad Pick Streamlined IRS Program Or OVDP?, they mentioned an amusing (cough) fact that I wasn't aware of. As you know if you've been reading this blog, there are many Americans living abroad who have only just found out that they owe many years of back taxes to the US government. Some are being driven into bankruptcy while others are being driven into hiding while the vast majority of us are just trying to catch up and figure out what the heck is going on. To deal with this, the United States created the Offshore Voluntary Disclosure Program, or OVDP. At first it sounds like a program to help overseas Americans catch up on their back taxes, but in reality, it's a fairly draconian program which starts, amongst other things, as a criminal process. It's a very long, complicated affair with the potential for massive financial penalties and the possibility of a criminal conviction. You have years of back returns and FBARs (Foreign Bank Account Reporting) to complete, but don't worry, you won't be fined more than $500,000 or spend more than half a year in jail for making a mistake with your FBARs. So the new reports of an IRS amnesty for expats is welcome. It's a much lighter weight process, doesn't assume you're a criminal, and doesn't contain penalties or fines. However, there's a couple of tiny catches. First, the IRS must assess you as a "low risk" offender, but they don't tell you what "low risk" is, other than to say that you must not have owed much in taxes or shown signs of "sophisticated" tax planning (whatever that is). So you might be eligible for an amnesty, but you have no way of knowing if you are. If you're aren't, you're still eligible for prosecution. Besides, the IRS [amnesty program] does not guarantee immunity from prosecution. What’s more, a taxpayer who applies for this streamlined program becomes ineligible for the OVDP. 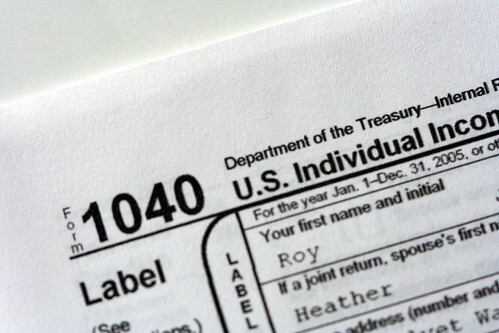 Suppose you apply for streamlined relief but the IRS examines your case and thinks you are high risk, not low? You can’t complete the streamlined program, but are ineligible for the OVDP! What’s left could be a full civil audit and high fines or even prosecution. Lovely, just lovely. If you're a US expat whose just found out about the US tax system for expats and you want to pay your back taxes, you may have absolutely no safe way to do so. While I'm generally familiar with this area of the US tax law, this was a wrinkle I had no idea about. I actually find myself in the ugly position of thinking that those who innocently got caught up in the mess would be justified (morally, not legally) in hiding from the IRS. Great very clear explanation of the issue. This is exactly why so many are caught in "compliance hell." They could be damned any way they jump.Too much uncertainty and too little trust. The way regular folks who made an honest mistake simply because they were not aware of their tax and filing obligations were treated in the other IRS "amnesty" programs has become widely known. Even if the IRS promised on the heads of their firstborns that they wouldn't do another perceived bait and switch, no one believes them any more. I personally doubt that people will come forward in response to this. The only thing that might (and I stress "might") bring them in is a full amnesty proposed and backed by the US president. Speaking as someone still stateside, I am, as usual, dismayed by the indifference of people around me to all of this. I think people my age, which I think of as the television generations, still think they can ignore the rest of the world, still think what happens out of the country doesn't impact them. I hope that as the internet generations come of age things might improve. Especially hope I will be observing all of it from out of the country myself within the next few years. Thanks so much for keeping up with all of this. I concur with your sentiments. I always wonder why the government doesn't tie certain things to median (not mean) income. That why it retains some economic flexibility (no need to revisit a law every 10 years or so). I would think something like anyone making less than (just a wild starting point) 3 times US median income per year over the life of the time one is in arrears is "low" risk. As of 2006 that would be $150,000 probably way more than the median expat income but less than someone that is likely to be using expat status as a tax haven or such. But that seems like a reasonable starting point so not likely to be even considered. Even though I'm not likely to ever become an expat I still enjoy your blog. @someofparts: Nobody cares because we're all sitting on our yachts, sipping our 100-year-old single malts, planning to screw Uncle Sam out his rightful share of the millions of dollars we've earned from the toil of child laborers working 16 hours a day, 7 days a week. We're just a bunch of greedy, immoral bastards. No wonder nobody cares! Seriously, if I received a fiver every time I've heard someone say that expats must have a lot of money, I actually would. It's a really terrible situation to be in! I know people whose mothers went from the Caribbean islands to give birth in the US simply because medical facilities were not adequate in their homes. Now the grown-up children discover they are liable to lodge tax returns for every year since their births, despite having never lived in the US. That's tough and unfair. The only solution - and it's a long-term one - is to get a new passport and renounce US citizenship. Make sure you renounce for your kids too. The US actively discriminates against those born/living abroad with disabilities in tax matters, treats their savings punitively - with the same Bank Secrecy Act and IRS laws and penalties as if they are money launderers and terror-funders, and refuses to allow them their internationally recognized right to choose or lose citizenship. The US and IRS should be shamed publicly for this. A family friend borne in the States moved to Canada when he was a baby, no one explained the rules to him when he started working. He visited the US many a time, never did customs question his tax situation. On he goes with life in Canada until when he was retired he won the lottery and the IRS have come out of the woodwork demanding their share of his winnings. Nice. The guy lived less than a year in the States and will never live in the states and use those things that American taxes pay for. Shame they didn't contact him when he started working or turned 18 to tell him the rules and ask him if he wanted to denounce his citizenship or pay taxes to a country he will never live in. Michelle, I'm guessing that in your last line you meant "renounce"; but I do believe "denounce" is more appropriate! Anon 4.49: thanks for the correction. I didn't know a parent couldn't renounce on his children's behalf. "A gross and pressing injustice" is right on the money. Also below is a link to another great interview — ACA’s Finance Director, Anne Hornung-Soukup. Both of these ladies are right on target regarding the noose being put around the necks of Americans abroad.